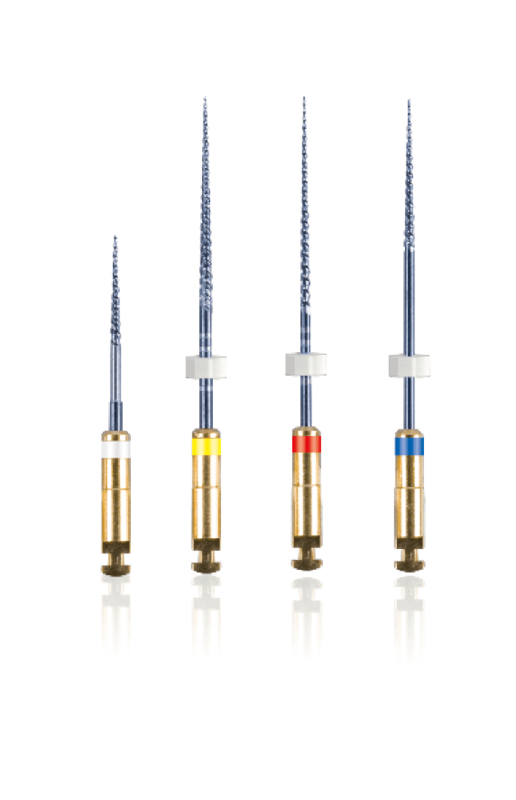 CMA system consists of 4 nickel-titanium rotary endodontic instruments for root canal shaping and retreatment, called: “CORONAL”, “MEDIAN”, “APICAL 1” and “APICAL 2”. The mechanical properties of these instruments in terms of exibility, as well as torsion and fatigue fracture resistance, allow for quality, predictable and reproducible clinical performances accessible to every practitioner. simple, curved and narrow canals.